Role models within the ever growing global Vivida Lifestyle community. TeamVivida implement the Vivida vision of improving the quality of peoples’ lives by inspiring and supporting their followers and microcommunities; thereby passing on the Vivida ethos and driving the movement forward. TeamVivida are integral to where Vivida is now and where Vivida is going tomorrow. TeamVivida are the leaders and role models of the Vivida Lifestyle community. They come together to form a strong tribe of adventurers, dreamers, thinkers and doers that personify the Vivida Lifestyle. They are integral to where Vivida is now and where Vivida is going tomorrow. Spreading the word and driving the ethos and the project forward - both behind the scenes and out there in the action. 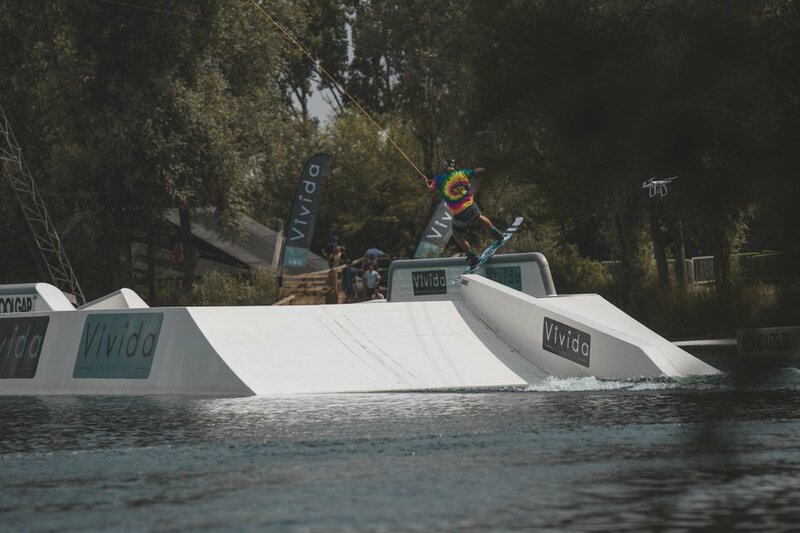 TeamVivida is made up of surfers, yogis, kiteboarders, wakeboarders, windsurfers and travellers, all of whom are united by their passion for life and doing what they love. Role models within the global Vivida Lifestyle community that personify and encapsulate the Vivida values. As part of TeamVivida, you embody the Vivida Lifestyle through your demeanour, your values and your outlook. You may be an adventurer; stretching yourself to explore, enjoy and understand the wonderful world we live in. A dreamer; open to possibilities and inspiring positive change through entrepreneurship, health, nutrition, yoga, spirituality....whatever it might be! A thinker; inspiring the community through stories, insight, knowledge, ideas. A doer; proactively pursuing your dreams. Somebody that makes things actually happen! You're somebody that dreams about doing things and goes and does it. You do what you love and you love what you do. Alongside your skills and vibrant Vivida personality, your ability to promote Vivida through the media is important. An ambassador stands out when he or she really recognises that they have been given this opportunity in return for proactively pushing Vivida forwards. Wearing your gear on the water, up the mountain or on the yoga mat, creating content, representing at events or competitions, hashtagging and mentioning Vivida on social media is key and should be seen as standard procedure (i.e. fundamental). It has been amazing to see how TeamVivida go above and beyond the fundamentals. Each individual is unique and has their way of doing things, own desires as to how involved they want to be, some will behind the scenes (e.g. as a sales agent, setting up flags and banners at spots around the world or more frontline marketing through content creation and people influencing). Of course every individual is unique, has their story and way of doing things but If a member of TeamVivida is no longer listed above it's probably because they've failed to recognise that is a two-way street and it isn't fair to not open up your space to another Vivida soul out there. The strongest applications will be considered for being brought on as ambassadors. You become a leader of the community. There's no commitment or contract. It’s based on a 'the more you give, the more you receive' philosophy.' The more you give the more you become a significant part to the Vivida wave and from that the more likely you are to find your groove and potentially even dream job within Vivida. Fill out the form below in English, Spanish or French. If you want to send extra documents send them to teamvivida@vividalifestyle.com. Puedes completar la aplicación en español. Tu peux remplir la formulaire en français. ¿Nos podrias decir cómo ha llegado Vivida a tus oidos? Queremos saber más de ti, lo que te apasiona y un poco acerca de tu vida. Como interpretas la Vivida Lifestyle? Es más que una marca, pero ¿Qué es? Please leave your answer to the above question as a review on our FB page. Have you done this? Qué aportarás al proyecto VIVIDA? Una aportación constructiva de lo que has visto de Vivida hasta ahora. Cómo crees que se podría mejorar? As a final step before us reviewing your application, please invite your friends to like our facebook page. Every little helps in contributing to the Vivida wave and we appreciate you doing this. You can use this extension for google chrome to select all your friends rather than having to tick them individually. Invite all extension: https://chrome.google.com/webstore/detail/invite-all-friends-on-fac/inmmhkeajgflmokoaaoadgkhhmibjbpj? Our facebook page is: www.facebook.com/VividaLifestyle/ Tick 'yes' when this has been done. Spanish : Invitar a tus amigos a dar 'me gusta' a la pagina FB de Vivida Lifestyle. Yes I have done this. Sí, he invitado a mis amigos a dar 'me gusta' a la pagina Facebook. Interact with us. Engage with our current ambassadors. Engage with our social media, leave comments, get noticed, show your support. This way you’ll already be on our radar by the time you apply to join the team. Buy and use our product. Show you’re already a customer. If you’re pitching to us to join the team, you should already be using our product! It shows you are genuinely stoked and are a true fan, as opposed to somebody that just wants free gear! Everyone is busy. Appreciate that we might not get back to your message straight away. We don’t want to be tied to our computers, but trust us, if you keep engaging, you truly believe that you are the right person, we’ll eventually see that you’re motivated and would be an awesome ambassador for the Vivida Lifestyle movement. These passions encapsulate what the Vivida Lifestyle is about. They are fantastic vehicles through which one can experience this wonderful world, immersing you into nature’s elements and forcing you to be present in the moment.